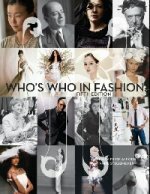 Аннотация к книге "Whos Who in Fashion"
Captures the energy, drama, and excitement of the luminaries who make up the world of fashion. This book features biographies that trace the careers of many of the men and women who`ve contributed to fashion. It contains four-color pages throughout of designers at work and some of their most influential designs.